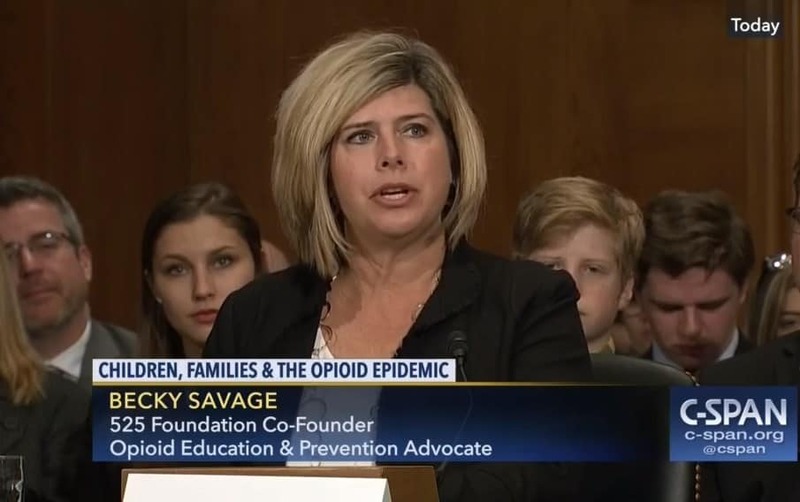 The mother of two brothers from Granger who accidentally overdosed in 2015 took her story from Michiana to Washington D.C. Thursday. Becky Savage’s voice was heard loud and clear in front of a U.S. Senate committee Thursday that was addressing the issue of opioid addiction in the country. Both of Indiana’s Senators were moved by Savage’s testimony and continue to be afterwards. “She’s turned unimaginable heartbreak into life-saving action.” Said Indiana’s Senator Todd Young. “Becky and Mike and their family are one of the great inspirations in my life.” Indiana Senator Joe Donnelly shared with ABC57.